When wildfires started engulfing the outskirts of Santa Rosa, California, on October 8, LGBTQ advocate Eliseo Rivas called family and friends to make sure they were safe. Then the landlord knocked on Rivas’ door and said to evacuate. “The funny thing is, I called all these people to check that they were OK, and it turns out I was the only one who was evacuated,” Rivas told NBC News. The 26-year-old, who identifies as genderqueer and uses gender-neutral they/them pronouns, works as a program coordinator for LGBTQ Connection, an advocacy group that supports Napa and Sonoma Counties’ most vulnerable youth. After evacuating, Rivas fled to a shelter where several LGBTQ youth were also staying. “A group of them were together, and I made sure I watched over them from the moment we woke up until the moment we went to sleep,” Rivas said. Rivas comforted a transgender teenager who was devastated, because the wildfires prevented him from getting to his doctor’s office to receive hormone therapy. Rivas said their apartment complex did not burn down, but the advocate has lost sleep worrying about LGBTQ teenagers who are still on the streets and in shelters. “I’ve had nightmares,” Rivas said. Rivas said many of these teens were already homeless because their parents threw them out or they left voluntarily to escape homophobia at home. Some use drugs to self-medicate, according to Rivas. To date, wildfires have killed 42 people in Northern California and forced more than 100,000 residents to flee. Rivas and their colleagues are working to educate shelter staff throughout Napa and Sonoma Counties about the unique needs of LGBTQ survivors, who represent about 10 percent of the population in the area, according to Rivas. The group is also making sure homeless youth in shelters and on the streets are getting food, water, clothes and other basic needs. Rivas said the group is figuring out ways to help LGBTQ people who have become homeless or poverty-stricken as a result of the disaster. LGBTQ Connection is also helping its parent organization, On the Move, collect donations. “If we’re looking immediately at the transgender community, a high percentage of the transgender community is below the poverty line,” Rivas said. “And not only that, but also the loss of businesses and employment and wages, and for our trans community and for our 'UndocuQueer' community, I think this is going to be devastating,” Rivas said, referring to LGBTQ people who are undocumented immigrants. Now, in their third year at LGBTQ Connection, the University of California, San Diego graduate trains LGBTQ youth on how to be leaders in their community. Rivas said the crisis makes them both grateful and sad for the young people they have come to know and love. “Sad that disaster and tragedy are going to strike, and everyone’s going to be affected by this, but also grateful I work for an organization in that I’ve learned how to be there for others and be there for my community and especially my young people,” Rivas said. Rivas said their biggest challenge is finding youth who need help but are afraid to reach out because they are still in the closet. “I think for us, it’s making sure we’re letting people know we’re here for them and being at the forefront of people’s minds as an organization that people can trust and go to is probably one of the biggest things that we can work on,” Rivas said. It’s a message Rivas will continue to spread as they work with homeless LGBTQ youth affected by the wildfires. 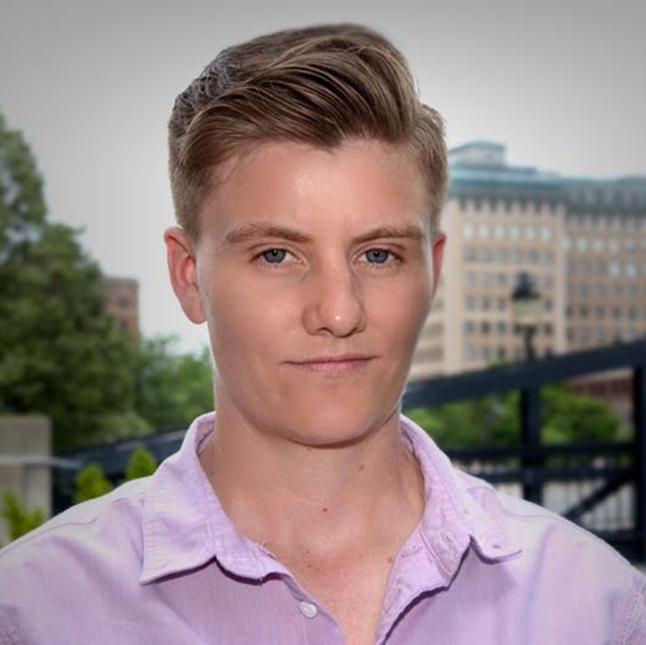 OutFront is a weekly NBC Out series profiling LGBTQ people and allies who are making a difference in the community.